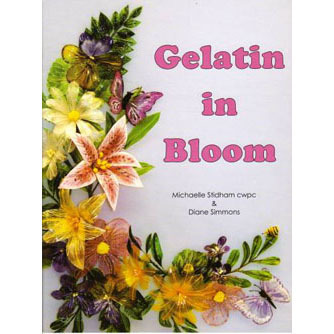 Brand: Gelatin Designs CCN-SET2 Units: 1 set / 5 sheets total Veining sheets are used to create gelatin flowers, leaves and butterflies. May also be used as veiners with various sugar pastes. *Note - Sheets are made on clear food grade plastic (washable). The sheets are CLEAR, the images shown are line drawings to show detail. Set includes Butterflies and Dragonflies, Flower 3 & 4 and Leaf 3 & 4. Veining sheets are used to create gelatin flowers, leaves and butterflies. May also be used as veiners with various sugar pastes. *Note - Sheets are made on clear food grade plastic (washable). The sheets are CLEAR, the images shown are line drawings to show detail. 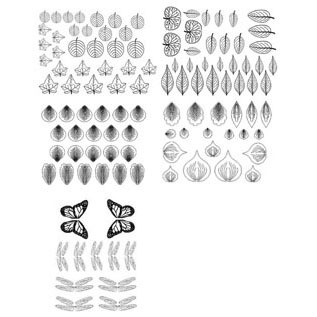 Set includes Butterflies and Dragonflies, Flower 3 & 4 and Leaf 3 & 4.